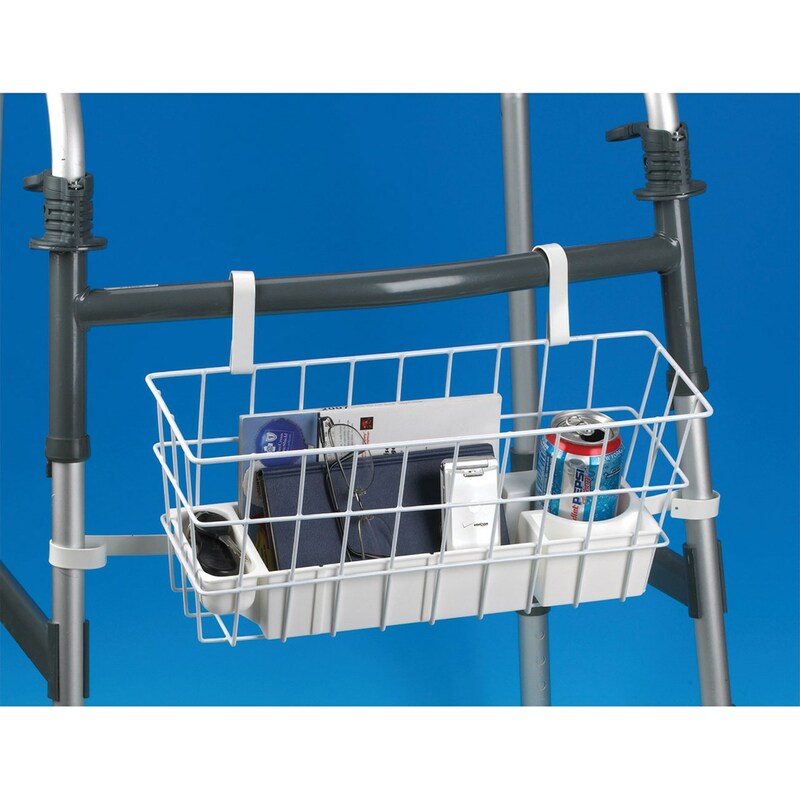 Measures (l x w x h) 5-1/2 x 16 x 7"
The Deluxe Wire Walker Basket with Stabilizing Bars has two hooks that support the basket while two easy to bend, vinyl coated aluminum stabilizing strips keep it from swinging. 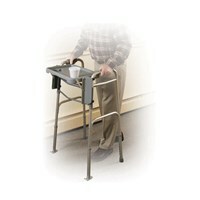 The strips permit attachment to nearly all walker models. 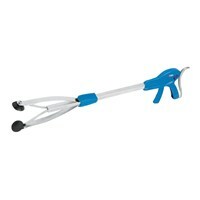 Can be attached to most walkers. Features heavy-duty plastic insert tray. Measures (l x w x h) 5-1/2 x 16 x 7" (14 x 41 x 18 cm).